takes down opponent Jared. 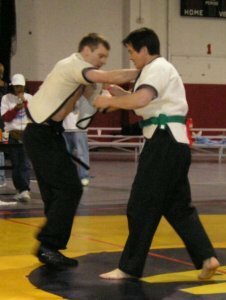 Fa won the Heavyweight Silver medal. Snacks, drinks, safety items, self-defense demonstrations and more. 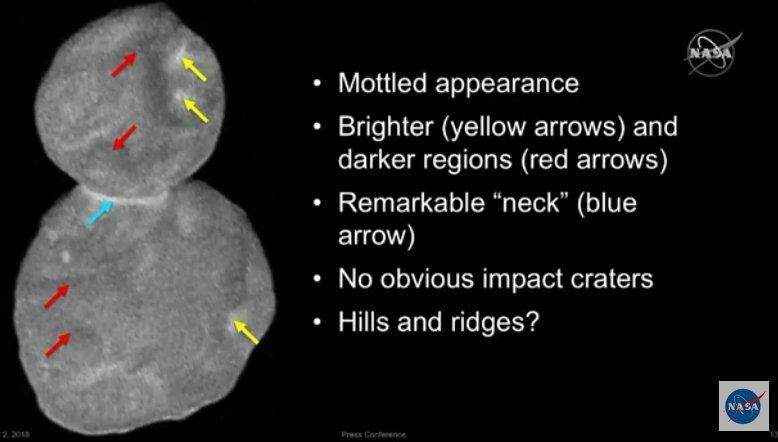 spacecraft flew by Kuiper Belt object, Ultima Thule. 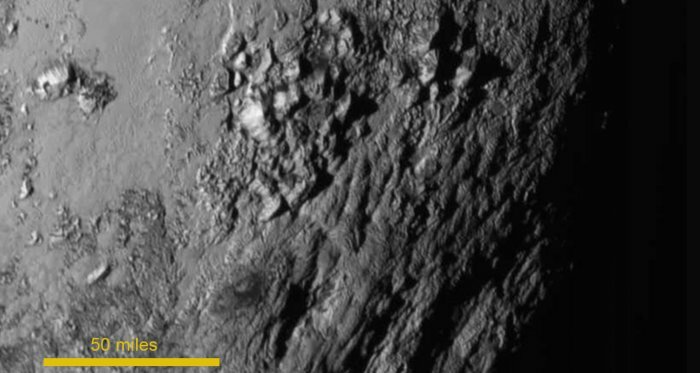 travelling at 31,000 miles per hour! 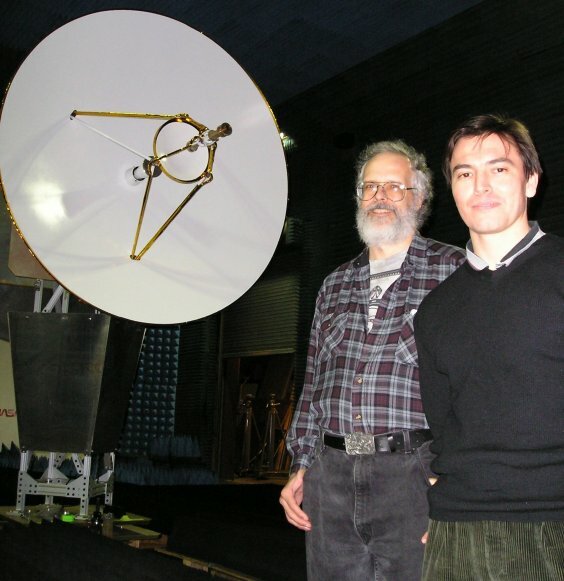 OSU Club member Dr. Willie Theunissen at the OSU Electroscience Lab, 2005, with Sifu Grigsby and the New Horizons Probe antenna. 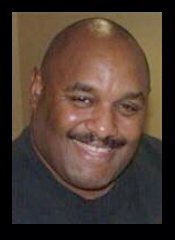 At the 2005 USSA Shuai Chiao Nationals tournament Willie was a silver medalist. 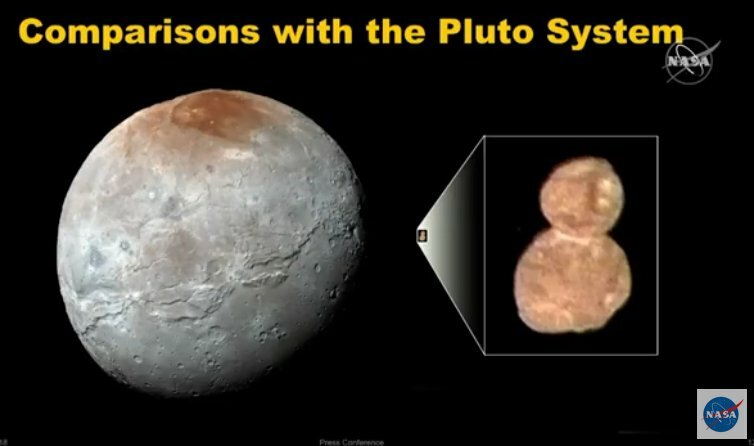 Congratulations to Willie and the many amazing teams of people who worked on this mission for over thirty years! 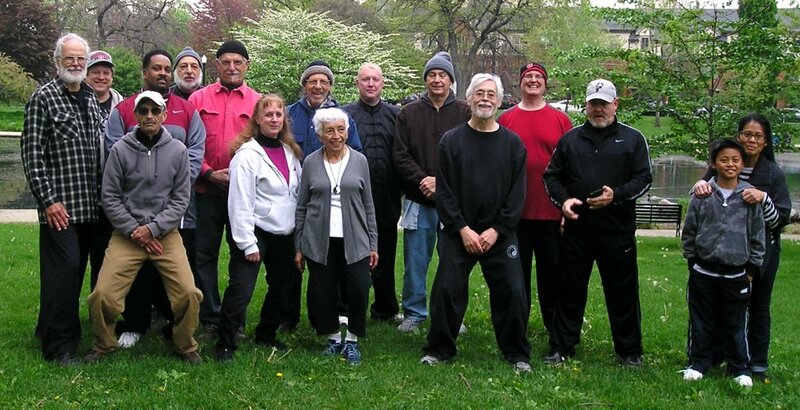 Many thanks to the local Taiji Push-hands players and participants who came from across Ohio. 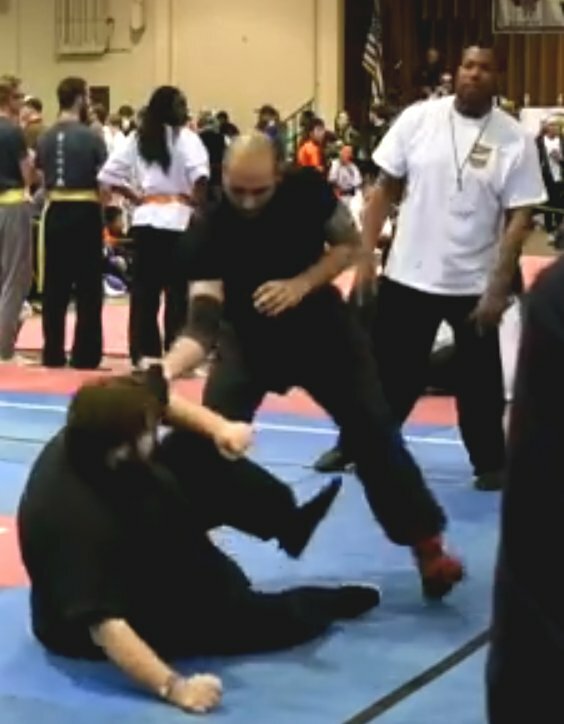 What goes around, comes around: Sifu Mike's turn! 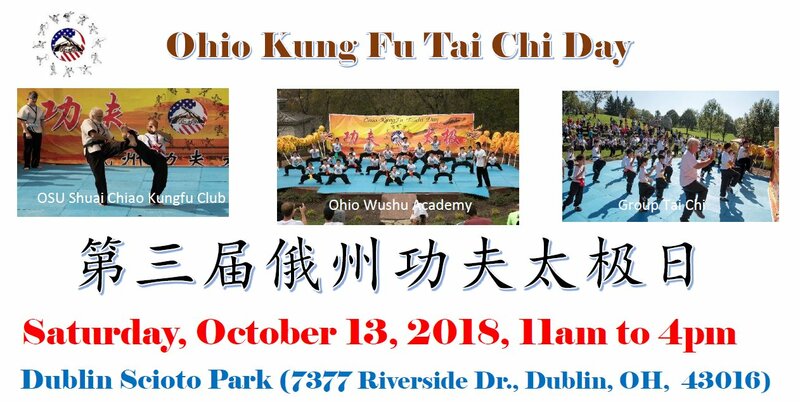 for the Shuai Chiao Kungfu Club at OSU. We met near the Gazebo, just south of the pond, at the northeast corner of Goodale Park. 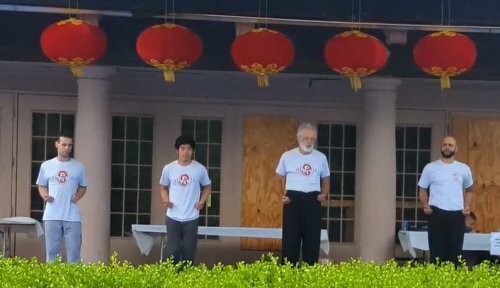 Many thanks to Sifu James Chin, who visited us again to share his insights on shuaijiao technique. Also, sincere thanks to the Black Belts of our Testing Committee: Fabricio, Jaron, and Jack. 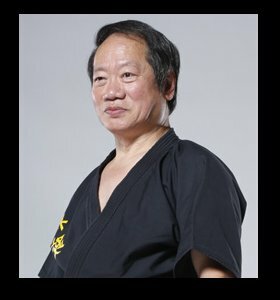 and a founder of the American Combat Shuai Chiao Association. 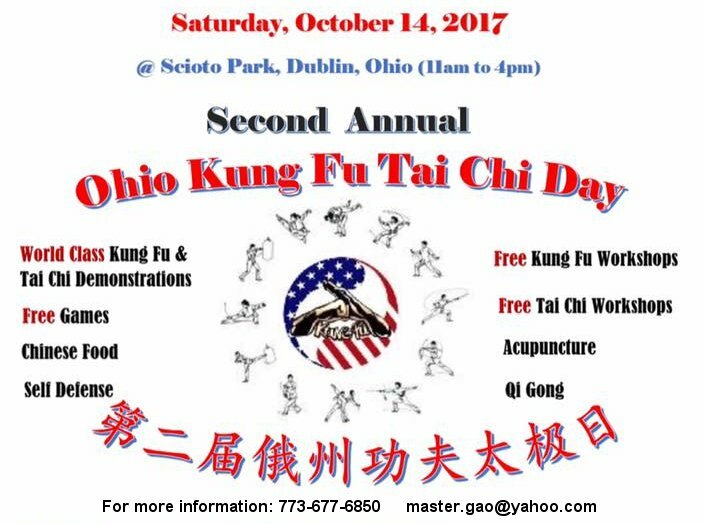 Many thanks to our participants and to Sifu Jeff Radcliff for his opening presentation. Over three hours of direct practice and instruction with folks from across Ohio. 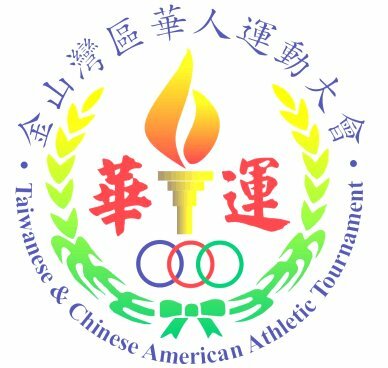 Thanks to all the Shuaijiao competitors, officials, and RecSports staff who made this a successful event! We had 24 competitors from across Ohio who fought in 32 matches with over 100 full throwing techniques scored. local officials: Tammi Lake and Jack Chuang; and announcer Eric Brinkman. 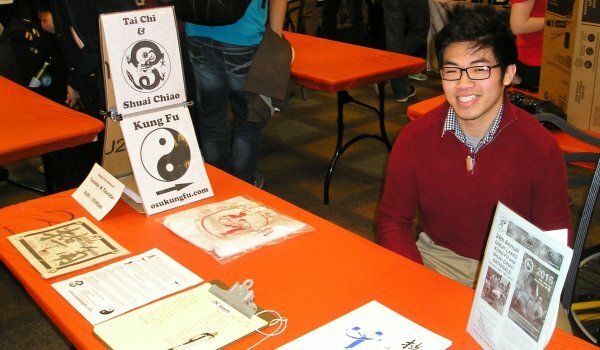 Congratulations to the OSU Kungfu Club Rooster team! Congratulations to Daniel Murphy, 2nd Chieh, and Ritchie Tran, 3rd Chieh. 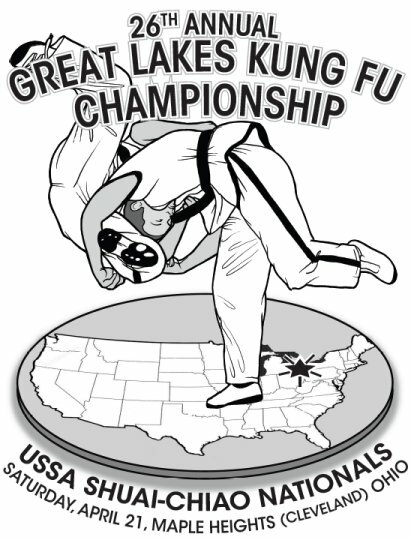 Congratulations to the OSU Club members competing at the USSA Shuai Chiao Nationals! Adam Vanderhorst, 4th place, and Ritchie Tran, 4th place. Thanks to all who attended the Central Ohio Push-hands Conference! 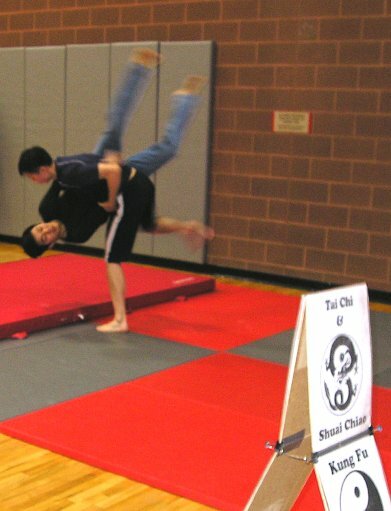 Many thanks to Sifu Chin for sharing some of his Shuaijiao expertise with us! Congratulations to all Club Members who passed their USSA Belt Rank tests. Lower Belts: Matt Brehove-5th Chieh, Daniel Murphy-3rd Chieh, Ritchie Tran-4th Chieh, Michelle Kaiser-3rd Chieh. Black Belts: Mark Sololsky-9th Teng, Marya Barrios-9th Teng, Fabricio Castellano-9th Teng, Jaron Bernstein-9th Teng. 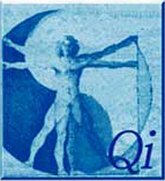 Many thanks to the members of the Test Committee: Master Matt Mollica, Raymond Trepanier, Mike Grigsby, and Tamera Lake. 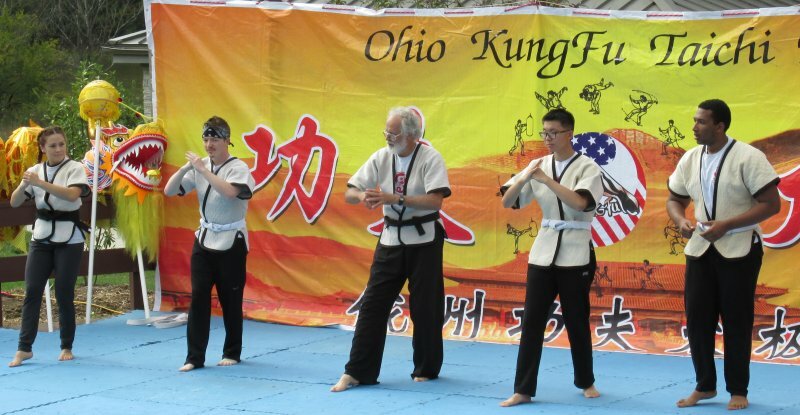 Congratulations to the OSU Shuai Chiao Kungfu Club Team for their performance at the USSA Nationals! Chris Slocum - First Place, Fabricio Castellano - Second Place, and Club President Michelle Kaiser - Third Place. 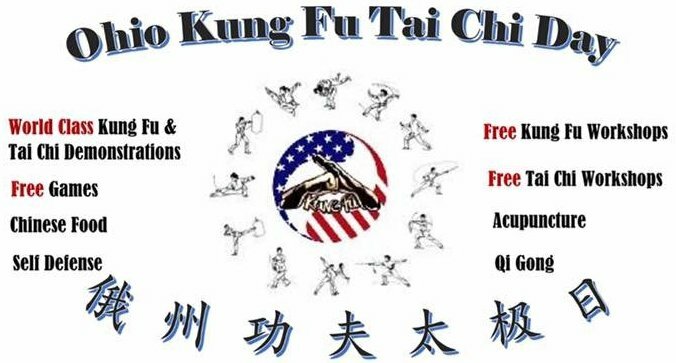 Thanks to all the Shuai Chiao competitors and officials who made this another great event!